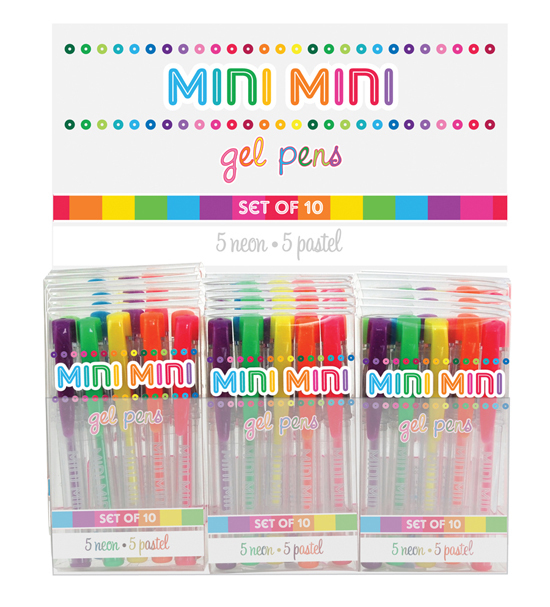 Discover the best of both color worlds; pastel and neon colors with Mini Mini Gel Pens. You can use them for mixed colored drawings or for organizing your notes with color. Mini Mini's are small enough to take wherever you go but big enough to get the job done. Each set comes with 10 gel pens each less than 4 inches long.